(CBS/WGCL/AP) CARTERSVILLE, Ga. - Officials in Bartow County are investigating the disappearance of Wazinah Suleiman, a 30-year-old mother of five, as a missing-endangered person case, according to reports. Sheriff Clark Millsap says Suleiman has been missing since Friday night when she told her children she was going out to rent a movie. Her SUV was found Tuesday morning in nearby Cherokee County. Millsap appeared Wednesday on ABC News' "Good Morning America" and said investigators are looking at cell phone records and surveillance tapes and will interview the children. He says there's no indication of foul play and that it's possible the woman is taking a break from family life. The sheriff says she told her children she was going to Walmart in Cartersville, Ga.
Investigators plan to examine the couple's bank records Thursday. On Wednesday, CBS affiliate WGCL obtained records showing the Suleiman's filed for Chapter 7 bankruptcy last year. They owed more than $1.2 million. 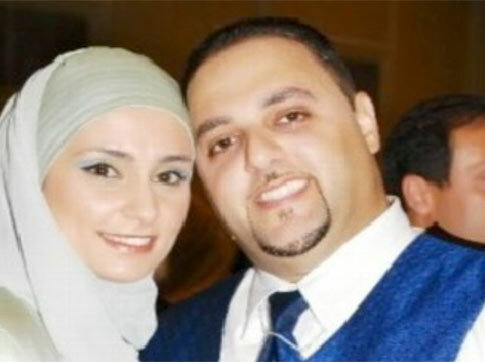 The woman's husband, Abed Suleiman, told the station that marriage was better than ever after that was cleared up late last year. Though police have questioned Abed Suleimanb twice, Millsap says he is not a suspect in her disappearance. Abed told WGCL that investigators have stopped focusing on him and started looking in other directions. "I was being a suspect and they wanted to totally rule me out and they already kinda did that, but they wanted to iron out all the wrinkles and they did that," Suleiman told the station. "My biggest concern was they're wasting time on on the wrong leads and that's delaying us from finding Wazineh." Anyone with information about Wazineh Suleiman is asked to contact the Bartow County Sheriff's Office Criminal Investigations Division at 770-382-5050, ext. 6032.